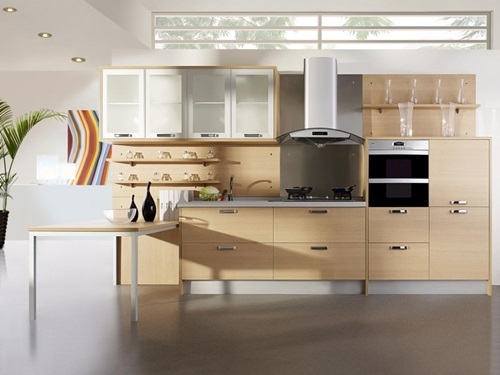 The modern kitchen is characterized by its elegance, well-arrangement uniqueness, and simplicity. 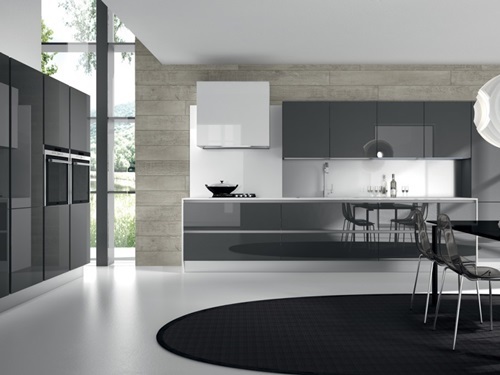 To have a modern kitchen, try to find a definite theme to apply on your kitchen’s design, color, and tiles. 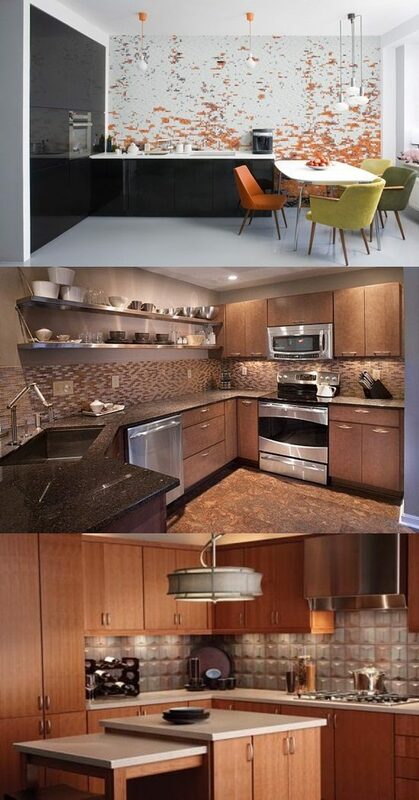 The tiles of the floor, countertop, back splash, ceiling and wall have to be harmonized with the main theme. 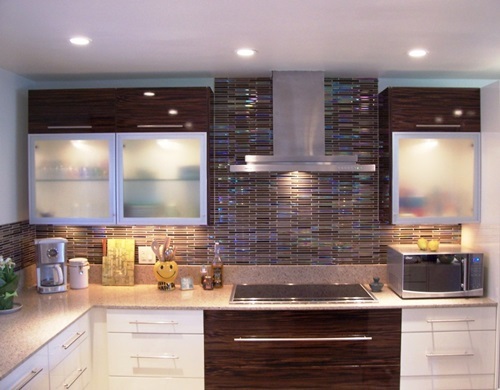 Tiles have different kinds, designs and colors to match your kitchen’s parts. The limestone tile can fit nearly every part in your kitchen. It is a natural stone that suit both of modern and traditional designs because it comes in the colors range between beige and brown. Another natural and durable kind is the faux proclaim tiles that can look like the real wood but more durable. 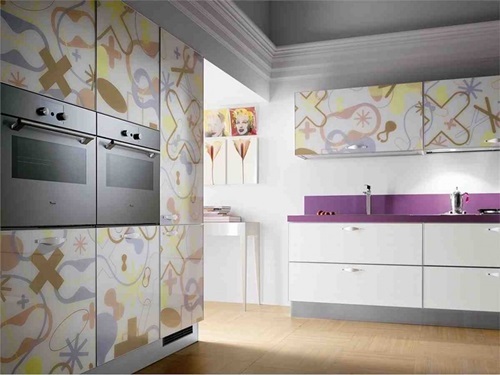 Likely, the vinyl tiles have many usages, textures, colors, and designs. They are very hardy, waterproofed, and easy to clean. The vinyl’s solution could be found easily in the market. You could use other kinds of tiles that have less durability but still popular and long lasting. 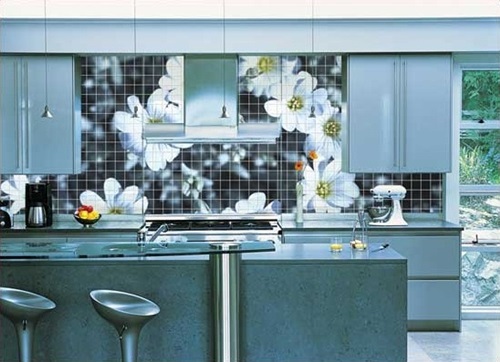 The reinforced glass tiles are suitable for nearly all of your kitchen parts. 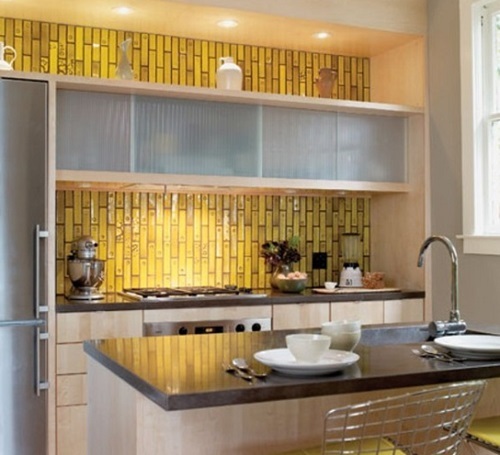 They are made of recycled glass but able to give your modern kitchen a sleek, sparkling, and shiny look. They could be used in the backsplash or even the floor for those who have no children at home. 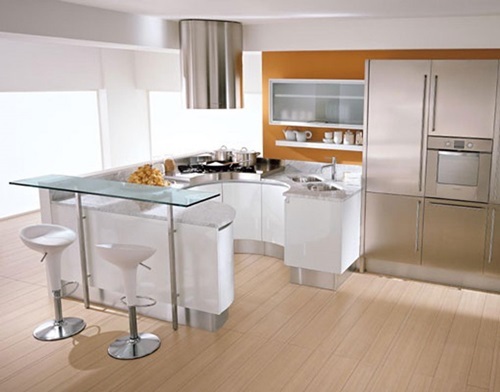 The clear glass will match your large window, glass doors of the cabinet, and the light wood or white painted cabinet. 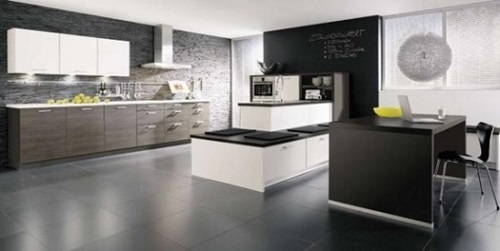 The inexpensive tiles are widely used also because they are long lasting. 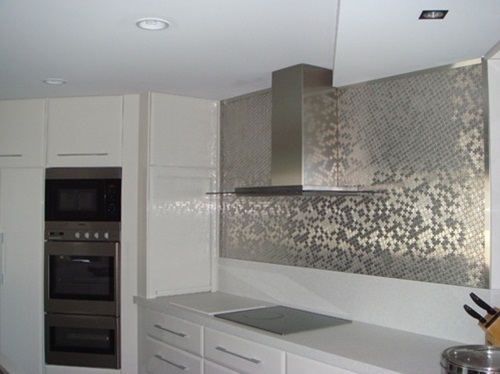 The metal tiles either they are stainless steel or copper could be used for your countertop and backsplash because they are safe, but when applied to the floor, the wet metal may cause slipping. The ceramic also is inexpensive and durable if it is installed in a right way. You can use the colored grout to keep the ceramic clean all the time. 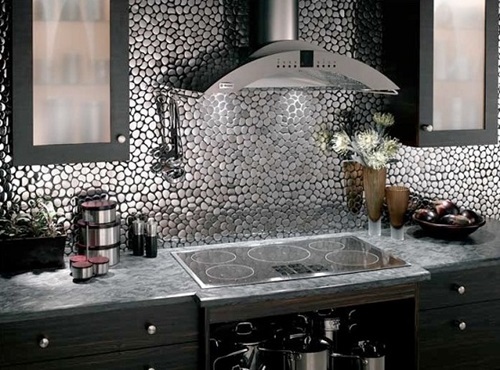 The mosaic tiles could be adhered to the wall and ceiling to protect your kitchen. 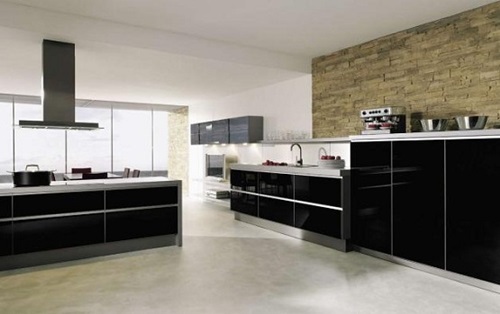 The broken terracotta and the slate tiles can give your kitchen a marvelous colorful modern look. The marble, brick, and granite will make you feel the freedom of nature in your own kitchen. 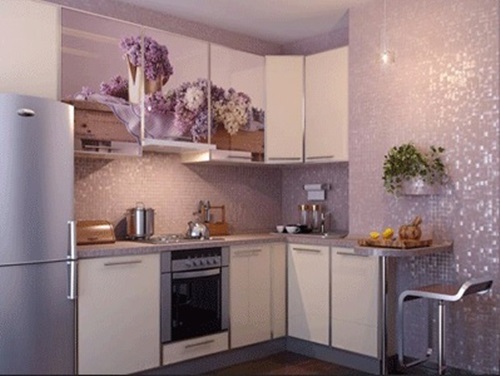 Now it’s your turn to tell us what kind of above tiles more suitable to your kitchen’s theme and nature.